A select group of national news "stakeholders" gathered at an undisclosed location for what was described as a "semi-secret" workshop somewhere in Canada on January 26. The meeting had been convened to determine how and to whom a "news industry bailout" of $645 million in Canadian government subsidies to private and supposedly independent media outlets would be disbursed. It was a striking event that signaled both the crisis of legitimacy faced by mainstream media and the desperate measures that are being proposed to answer it. Jesse Brown, a Canadian journalist who participated in the meeting, complained that the first thing he noticed about it "was that one major public 'stakeholder' wasn't represented: the public." Inside what amounted to a smoke filled room that was off limits to most Canadian citizens, Ben Scott — a former Obama administration official who also served in Hillary Clinton's State Department — presided over the discussions. Today, as the director of policy and advocacy for the Omidyar Network, Scott works for one of the most quietly influential billionaires in helping to shape the media landscape and define the craft of journalism itself. The almost total absence of critical coverage that Omidyar enjoys is partly the product of his aversion to publicity. 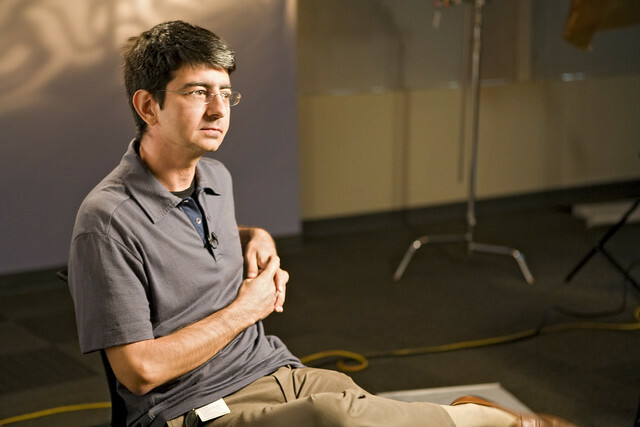 Unlike Soros, who seems to yearn for the media limelight, Omidyar is an eccentric figure who owns a "safe house" in the wilds of the American West; he interacts with business partners in virtual-reality simulations he funds, and has been magnetized by New Age gurus. But the free pass Omidyar has received from the media is also a testament to how much money he has channeled into it -- as well into the organizations that ostensibly exist to keep it honest. While backing media outlets around the world that produce news and commentary, Omidyar supports a global cartel of self-styled fact-checking groups that determine which outlets are legitimate and which are "fake." He has also thrown his money behind murky initiatives like the non-profit backing New Knowledge, the data firm that waged one of the most devious disinformation campaigns in any recent American election campaign; and he is a key backer of the International Consortium of Investigative Journalism (ICIJ), the outfit that holds the Panama Papers and oversees the strategic dissemination of that leaked trove of financial files to hand-picked journalists.